Priced to Sell Now! So much house for the $$$ Open Floor Plan, New Carpet Main Floor, Wood Floors, Stainless Appliances, Quartz Kitchen Counters, Beautiful Master Suite w/Whirlpool tub & Walk in Closet, Master Separate from Guest Bedrooms, Walk out Lower Level w/Wet Bar, Gas Fireplace plus Large Storage Rm, Pool Table Stays, Riding Lawn Mower Stays and Stadium Seating in Flex Room Stays, Watch the Deer and Turkeys from your Double Deck, Sitting on a Quiet cul-de-sac! 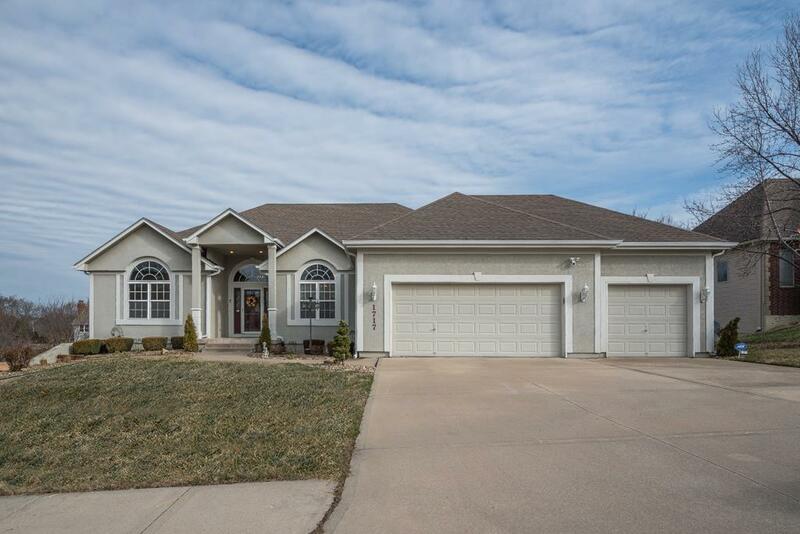 Minutes to Walking Trails & Blue Springs Lake!